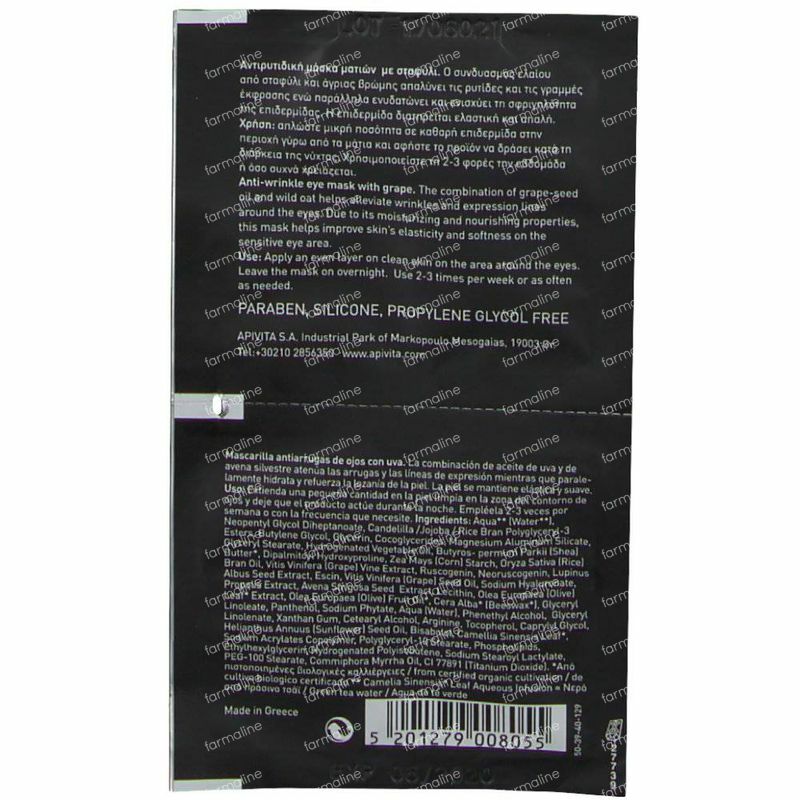 Apivita Express Anti-Falten und Straffungsmaske Mit Trauben 2x2 ml online bestellen. Anti-wrinkle mask for the eye area, suitable for all skin types. 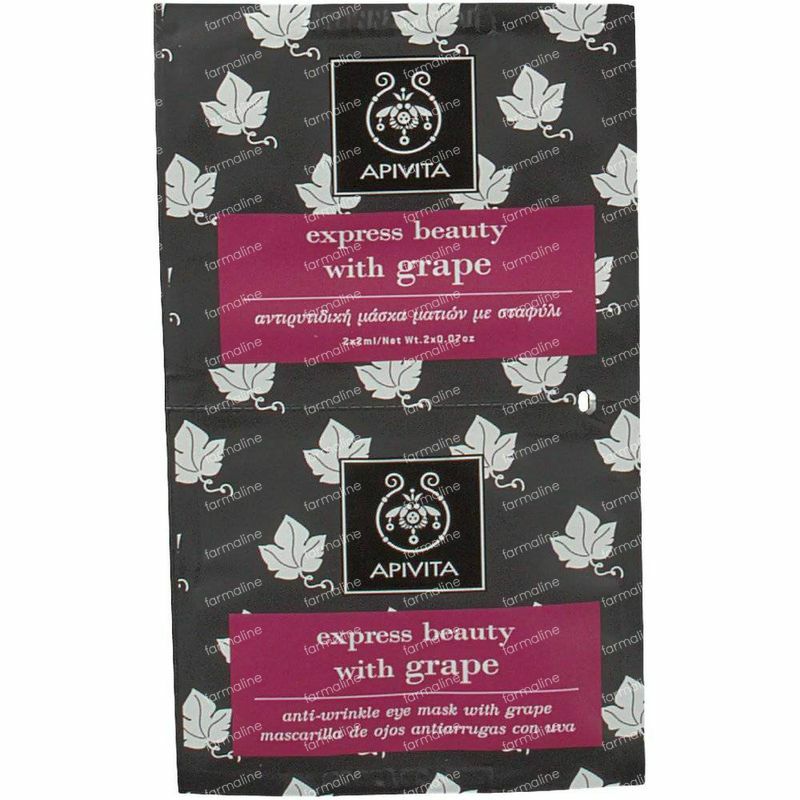 - Grape, rice and olive oils nourish, rejuvenate and smooth the area around the eyes. 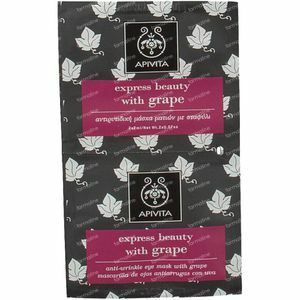 - Lupine and propolis extracts soften wrinkles and expression lines. - Ruscogenin and escin alleviate dark circles and puffiness, giving a sense of relief to tired eyes. - Shea butter, beeswax, black oat extract and vitamin F nourish and improve the elasticity of the skin, maintaining it soft. - Organic myrrh essential oil rejuvenates and invigorates the skin. 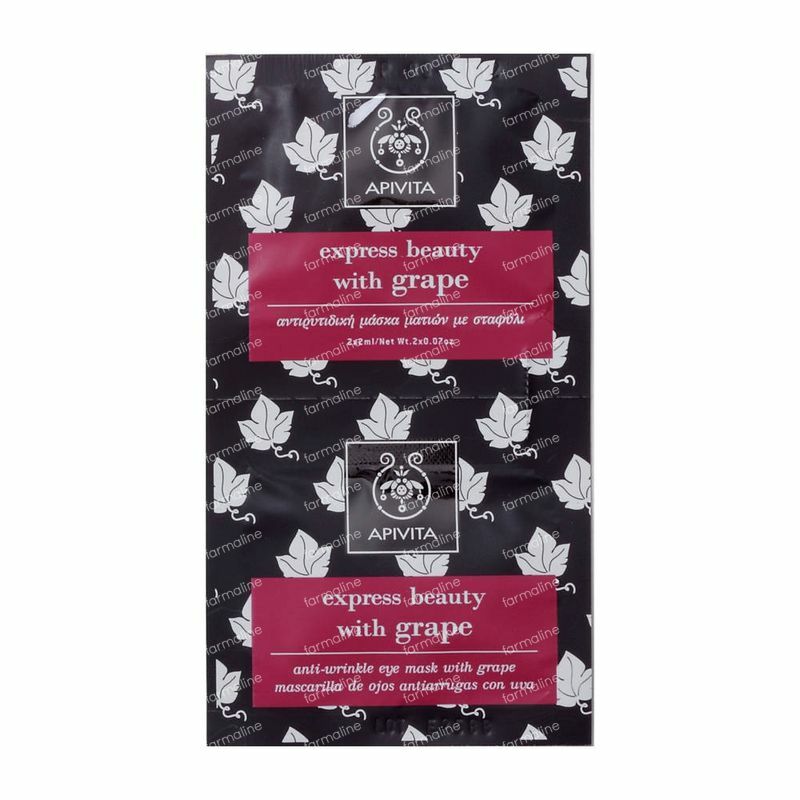 A nourishing and firming antioxidant rich eye mask with firming grape extracts. Suitable for all skintypes. - Apply a small quantity on cleansed skin in the eye area and leave it overnight. - Use 2-3 times per week, or as often as needed.